I think I’ve discovered the secret behind St. Patrick’s Day. Yes, there is the history and the clover. But you know all that green that shows up for the holiday? It’s because we’re all itching for Springtime. Any excuse I can find to greenify things in March makes the long wait here in the Northern half of the country a little easier to take. Let’s move beyond the silly green hats and clovers and find some craft projects that will add green to your space in more unusual ways. Pick out some fresh plants and planters, frame those green things, or even make your own lucky crystals and charms with these enchanting projects. 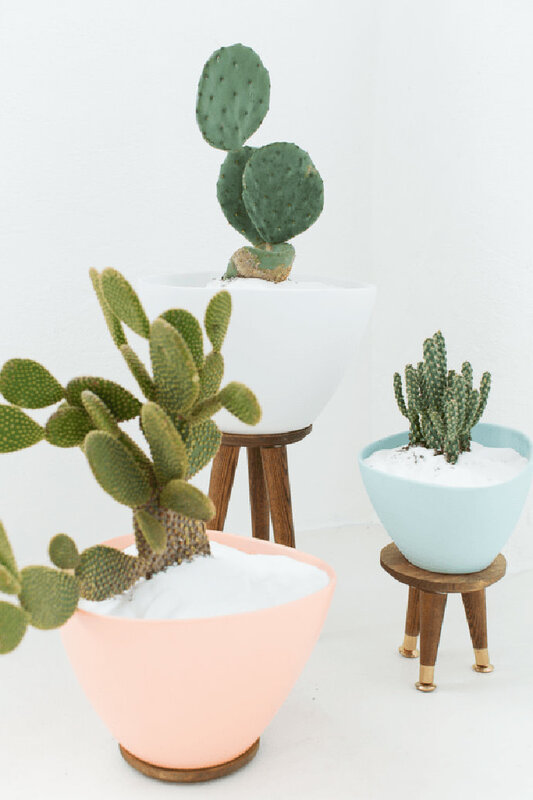 The real deal planters can cost a fortune, so I love this quick update for your plant pots – no budget-breaking required. Now this crown is something I can get behind. 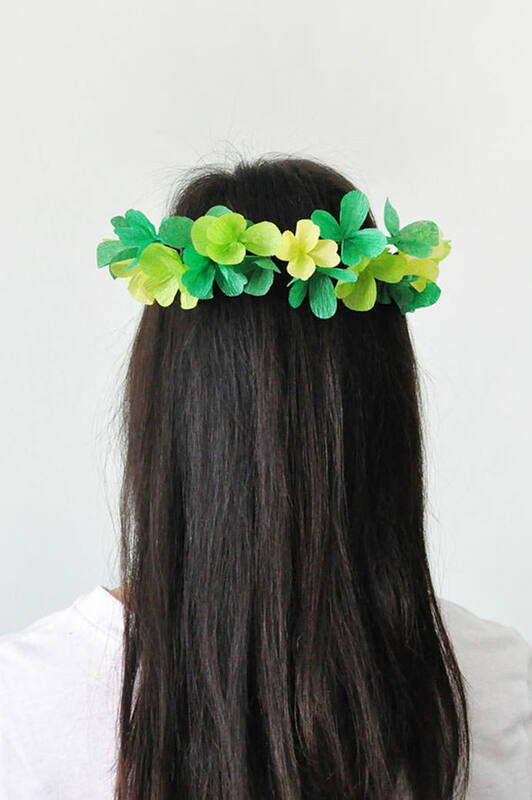 Forget the pots of gold and big green hats, add a couple clover crowns to your holiday. 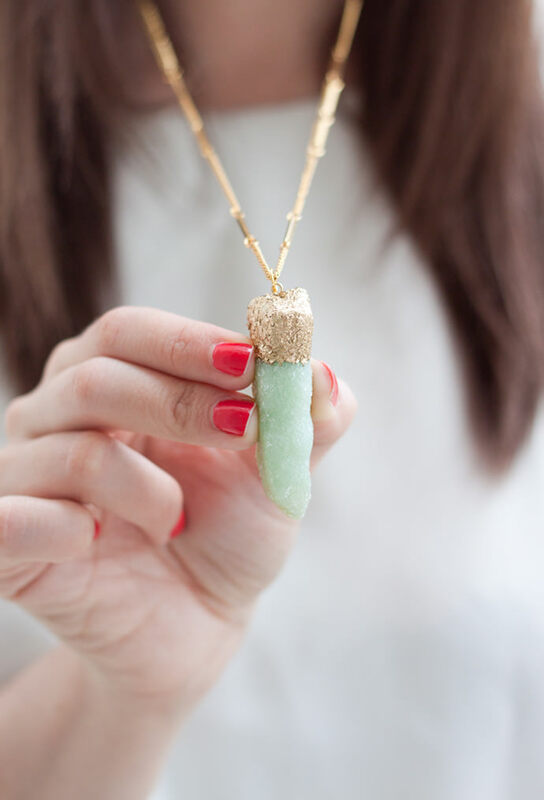 Now you can make your own good luck with these gorgeous fake crystals. Can you believe you can make your own like that? Crystals not your thing? 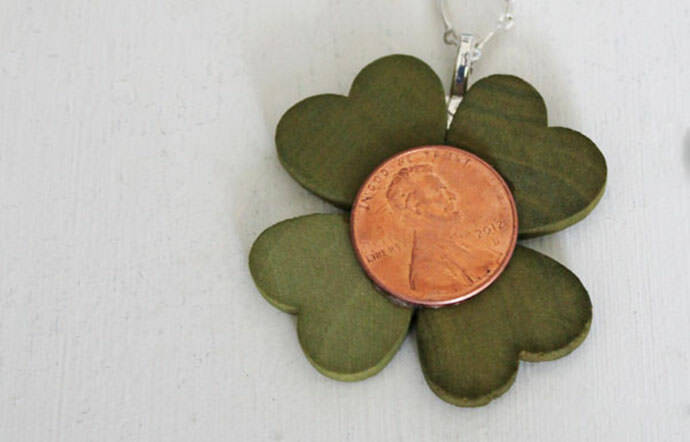 Keep your eye out for lucky pennies, then create this perfect necklace to give your favorite luck-needing person. I’m thinking this would be a fun project for the kiddos too. 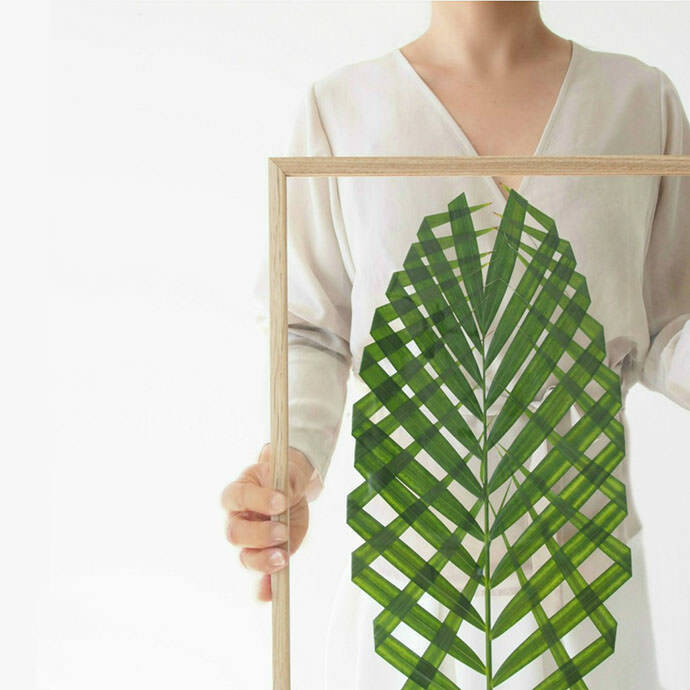 This may be my favorite find this week – what a simple way to make your own stunning wall art. Check out the other collaged/quilt version too – so beautiful! 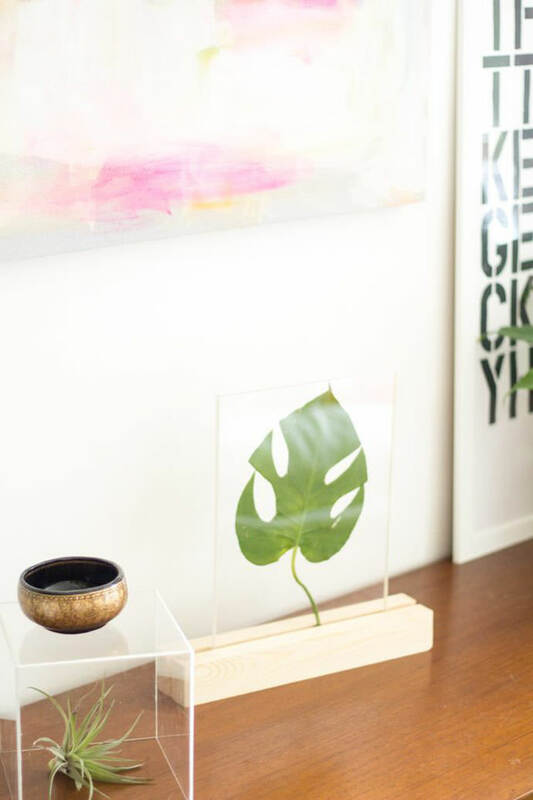 Pictured at the top of this post: Plexiglass Framed Leaf, tutorial via eHow.